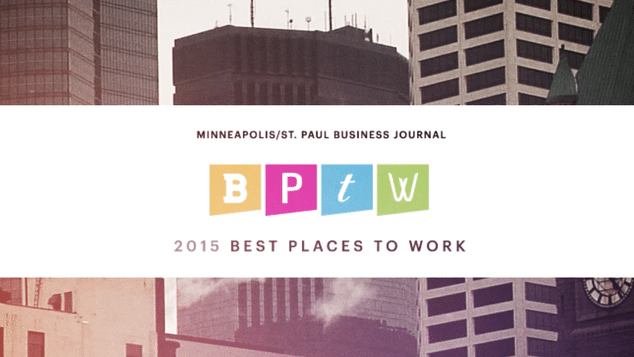 We are delighted to announce that SPS Commerce has been named as one of the Twin Cities’ 2015 Best Places to Work by the Minneapolis/St. Paul Business Journal for the 10th year. The Business Journal announced the winners on their website on June 26th, complete with a video of the winners. We’ll also be honored, along with the Twin Cities’ other winners at the Business Journal’s First Class celebration on Thursday, August 13th at the Signature Jet Hangar. 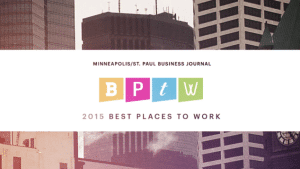 To find the Best Places to Work, the Business Journal began seeking nominations around April of companies that have an office in the Twin Cities metro area and 10 or more full-time employees. Companies based in Minnesota but outside the Twin Cities were also eligible, but only if they had 1,000 or more employees. Next, an anonymous survey was sent out to the employees, and they must receive a certain percentage of employees complete it in order to qualify for consideration. Employees anonymously rate their employer on topics like work environment, the opportunity for personal growth and development, and even people practices. 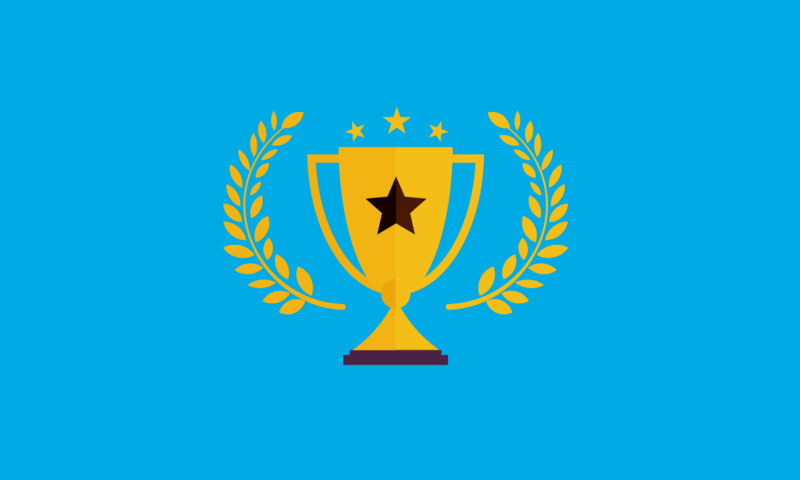 The highest-scoring companies were selected from three categories: Small (10 – 100 full-time employees); Medium (101 – 1,000 FTEs); and, Large, (1,001 or more FTEs). With nearly 950 employees, SPS fell within the Medium category. You can read more about how the Business Journal selection process works. We’re proud to be named one of Minnesota’s Best Places to Work for the 10th year, and we appreciate everyone at SPS Commerce who makes it so. Thank you, not only for all the work you do, but your belief in the company and the cloud-based technology we deliver to the retail industry. To learn more about #TeamSPS, head on over to the SPS website. Get more regular updates like this by following SPS Commerce on Facebook, LinkedIn and Twitter.